Moving your little one from a cot to a toddler bed it a big step for both the child and the parents. From the your baby looking like he or she is getting too big for the cot to looking teeny tiny in a big toddler bed. It’s a step to your baby getting that big bigger and another step of independence. But, it’s an exciting step. Aria loved her cot and her room and when we added the HelloHomeStarBright Toddler Bed and removed her cot she was so excited. “My big girl smoothie bed” she kept saying. She still calls her duvet a smoothie. How did we do it? A few weeks before we got the bed we asked Aria if she’d like a big girl bed and explained what it would be like. We let her try out the boys beds and she picked out her own duvet cover. She picked a Frozen one. Her own “Frozen smoothie”. She was looking forward to it and couldn’t wait for it to be built. I decided I would assemble the HelloHomeStarBright Toddler Bed myself, men don’t follow instructions do they? And I wanted this done right, shhhh hopefully my husband doesn’t read this! I took out the instructions and began to follow. It didn’t take long, one mistake was made, but quickly fixed. An hour later and it’s ready. The HelloHomeStarBright Toddler Bed doesn’t come with a mattress, but it takes a standard size cotbed mattress (140cm x 69cm) so it’s easy to purchase and the same with the sheets and duvet. Aria couldn’t wait to sleep in her new bed. We set it up with her duvet, books, favourite soft toys and Euan the dreamsheep. The built-in side table is fantastic for her books, drink or to sit on while reading. We put her two favourite books and she jumped straight in. I think the preparation and explanation was key to her having a smooth transition from cot to toddler bed. She never looked back and was settled from the first night. The toddler bed is a great size for getting in and out of when you are little. Don’t try it as an adult, it’s comfortable and difficult to get out. The bed looks great. It’s sleek, white, shiny and the cloud shaped headboard makes it look cute and a little different. 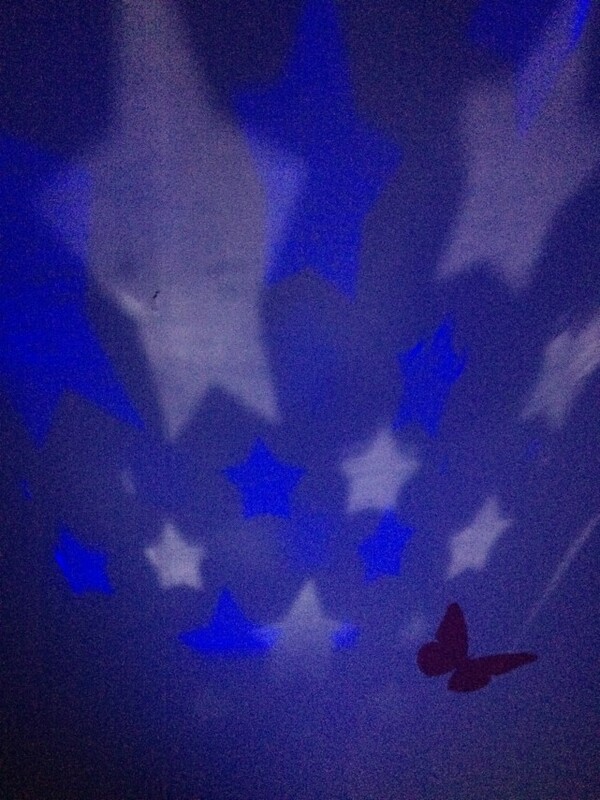 I love the nightlight that is built in, it gives off a wonderful, comforting glow and the stars look beautiful. Plus it’s on a fifteen minute timer, so you don’t have to worry about switching it off. The side panels are great for the transition from cot to toddler bed, it gives some reassurance and comfort, but still give that bit of independence. Aria has only ever fallen out this bed once and it was because she fell asleep at the wrong end. The table is a great idea, you can put on another light, books, teddies and it’s even designed for an adult to sit on. Yes it’s strong enough. The bed itself is very sturdy, there is no flimsiness about it. It really is a well made and designed bed. Aria slept every night since in her HelloHomeStarBright Toddler Bed and never once asked to go back into her cot. We have had a few issues with her sleeping due to illness, etc but that had nothing to do with the bed. Toddlers being toddlers. She loves the fact she can lie in it, it’s her big girl bed and she loves the light. Her brother loves it too and likes to sneak in and read a book or two with her. The StarBright Todder Bed is priced at £149.99 and is available online, in several large retailers and Argos. I think the price is excellent for how well it’s made, looks and the little extras. I am very impressed with this bed. 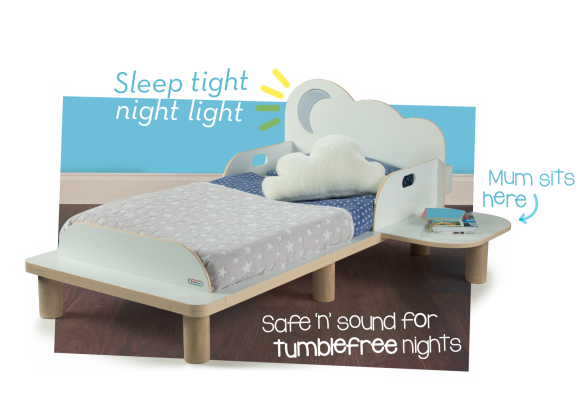 I have given me the change to give one of my readers a chance to win their very own HelloHomeStarBright Toddler Bed (please note there is no mattress included) Enter via the rafflecopter below and it ends on Friday 24th July 2015. Good luck to you all. Disclaimer:- I was given a bed to review for my honest opinion. Try just letting your little one have naps in their new bed for a while, before you give night-times a whirl! Definitely let them choose their own duvet! Lots of ‘Big boy/girl’ talk & praise. Let them do it slowly at their own pace. Don’t rush it, we did it at 20 months and felt it was too early. Do it when everyone is ready! This is such a cute bed! Put familiar things on their new bed such as a favourite blanket and teddy bear. Make it an adventure but stick to usual bedtime routine and have some familiar items such as cuddly toys so its not too strange. Introduce the idea gradually so they have time to adjust. I put my daughter’s cot bed in the other room where her big girl bed was. I let her sleep in the cot bed with the side off for a few nights and I let her get into her big girl bed, but with no pressure. Then after a few nights I asked her if she wanted to sleep in her big girl bed and she got in no problem and slept in it. I bought fresh new bedding and made sure we stayed on the bed together playing for a little while before bed and that all her favourite teddies were around her. Funnily enough, my little girl preferred a bed anyway so think I got lucky there! None yet – but going to try soon! Let them choose their own bed and bedding. Let them chose their new bedding and make it exctiting, they will feel more settled. Make it a fun thing, don’t stress! Bedding they love, make them feel secure with everything they want from there cot. Children pick up on your anxiety the best advice I can give is to relax and make it the fun adventure it is. I tired my out for the first night so they didn’t really notice! I haven’t got any tips yet… we’re just gearing up for the move! do it on a quiet day so they are not too overwhelmed. Make sure the favourite blanket and teddy/dolly are in the bed too. My little girl Skyla just turned two and I havn’t moved her yet. I am about to move my youngest into her big girl bed and I have taken her to the shops and let her pick her own Duvet set and she is now getting excited about moving in with her big sister! just do it -put a gate on the door and ignore them if they create! you can always put them in bed if they fall asleep by the door! Let them start having their naps in the bed so they get used to it. Dont just do it because you want them to make sure they are ready for it and show the signs. None yet, it’s still ahead of us! Ask them and make it their choice. Let them choose the decorations and sit with them until they fall asleep. Let them play in their bed first so that they can get used to it. Don’t expect the transition to happen instantly, it takes a lot of effort and patience, make their bed one that they want so that they will want to stay in it and make sure you have a safety gate on their room, once they realise they can’t go far they will give up and stay in bed. I remember telling my daughter that she was a big girl and needed a newc, big girls bed. We went shopping together and got some nice winnie the pooh bedding, curtains and accessories. She was brilliant and took to it straightaway. They’re choice of bedding, and have the bed in their room for a few days before the big change – if there’s room that is! I had a single bed in the room for a while with the cot was in the room and i chose fun bedding. Let them pick their own bedding, and only do it when they’re ready! We are thinking of doing this soon with our lb, been good to read the comments! Do it gradually, start by removing one side of the cot. 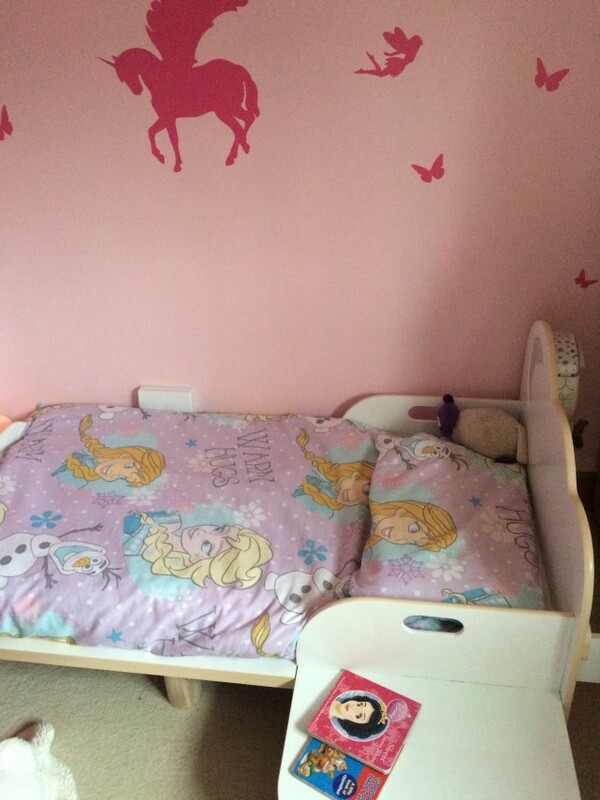 Build the bed up around a week before you want the little one to stay in it Spend nights before going to the cot reading and relaxing with them in the bed so they get used to it. We put the bed up in our sons room for a couple of weeks before he moved into it properly. He helped daddy put it together and for the first few days we put him for his nap in his cot then moved him so he woke up in his bed, then when we thought he was ready we just took the cot out and he was fine. Get them excited to try the new bed and treat it like a reward for being a big girl/boy. Don’t rush the process, let the toddler do it in there own time and make it as stress free as possible! Do it at a time when there is not much else going on, no other changes, to minimise them feeling unsettled as much as possible. Do it when they are ready, rushing a child can lead to a lot of resistance. I let my girls pick their own bedding and put their soft toys on the bed, we had no problems, they were really excited. Leave it until you think they are ready and let them choose their own beddihg. Try to make a routine with lots of cuddles and a story. Allow the child to take ownership, let them choose when they want to do it and what bedding they like. Nice long story the first time and make sure they are tired out the first day. When they’re escaping the cot with ease, it’s time to move to a toddler bed! I don’t have any tips. Parents will know when their child is ready and what they need. Argh we are just looking at doing this soon so reading the tips with eagerness! From experience of talking to friends who have done it, I would suggest patience as a popular one! Start by removing half if the cot and let them choose there own bedding making it fun for them. Let them “help” you put the bed together so they feel involved in the transition. Wait until the child is ready to move and don’t move too early. I don’t have any other tips as I am just thinking of moving my nearly 2 yo soon. I’m reading through the comments and definitely some great tips, thanks everyone. My little girl has yet to move so i have found some other tips on here from mms with experience. completely involve them in the prep work so it feels fun and special to convert! I would like some tips because I am having a nightmare with it at present! Just be very patience this is a big step for a little person. We are about to do move my son into his toddler bed so I don’t have any tips as yet. 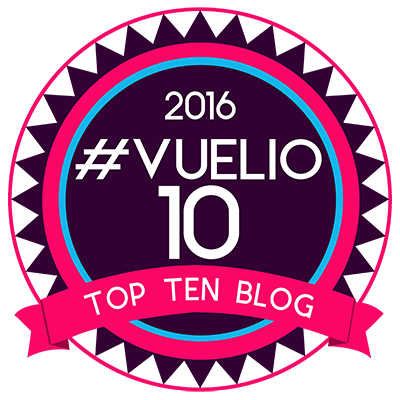 However this blog has given me some great ideas! Parents should move a baby from a cot to a bed before they are able to climb out of it on their own and possibly hurt themselves. We are just thinking of moving my 17 month old out of her cot and into a bed so I haven’t got any tips, this blog is very helpful. Make sure they are ready and they feel comfortable with being on their own. persevere with putting them back to bed if they keep getting out. it worked amazingly for us although it took many many weeks my twins now just get in bed and give cuddles and go straight to sleep. 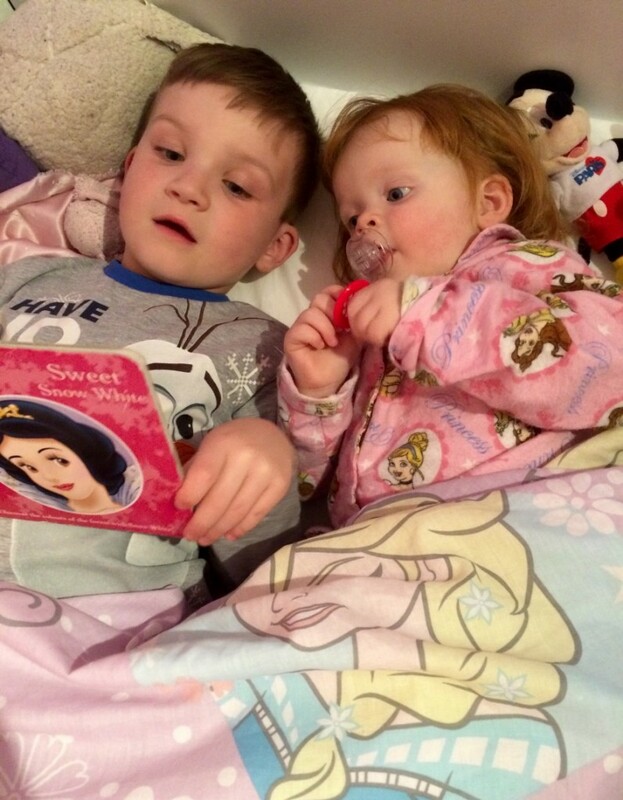 We have always gone with the old read them a story and help them get to sleep. Haven’t had any problems. Let them help choose their new bedding, it helps them be involved and get excited about the change! We weren’t entirely successful with our first child, but hopefully we will be better at it with my youngest daughter, she’s currently 17 months so not quite ready yet. I read that picking new bedding the toddler enjoys is crucial. My daughter is too young but in a few months she should be ready to move! let them help choose the bed ! Make there bed cozy with favorite bedding, soft toys, cushions and night light. Read to them till they fall asleep.Lots of praises and a reward the first morning so they know they have achieved a milestone. wait until they’re ready and keep them involved. Stick to a normal routine and try not to make it a Big Thing. Don’t make it out to be a big thing and keep their routine as stable as possible. Lots of patience and a cosy looking bedroom. I’ve not had to do it, yet, but i’m thankful to be able to read the tips on here. Don’t have many myself. Reward bravery would be my tactic. Let them help choose their new bedding. Talk to them about the whole process. Something that worked perfectly with my eldest daughter, was leaving her cot and her toddler bed in her bedroom at the same time for a little while, and when she went up for her afternoon naps, we let her choose whether she wanted to nap in her cot or her little bed! She would always choose her little bed, and so, when we eventually made the full transition to her bed, she felt comfortable and secure in doing so. Oh dear, I’m not there yet, my little boy, Thomas, is only 10 months old so I will be reading some of these tips. It’s all about slow transitions though isn’t it? Like getting my baby into his cot, I put his Moses basket in his cot for a few weeks first. I would love this ready for his room when he is old enough! Tell them about their ‘big bed’ just like mummy and daddy’s or big brother’s/sister’s before you move them. Once the big bed has arrived and is made up, get them to move all their toys and nightwear onto it. Finally, say ‘bye bye’ to the baby cot and have it dismantled or removed while they are watching. I haven’t got any tips because I haven’t done it yet! Its our next step – I think i’ll stick to our night time routine exactly how it is, but read him a story whilst he’s in bed instead of on his bedroom floor like we normally do 🙂 Exciting! I am hoping that we will do the transition smoothly. We are planning on picking out the bedding together and fingers crossed it works! involve them in all the choosing of bed and bedding if it needs assembled let them help with that too. Don’t make too big an event of it, just put them to bed as normal & don’t hype it up. My son barely noticed & never got out! talk about how grown up they are , make a bit of a fuss about getting their new bed ready and putting away their old one. Make it as fun as possible!! Don’t rush the process and try and make it as relaxed as possible. Don’t stress yourself out or your little one will be stressed. Keep to your routine & stick to it. wait till they are ready and let them choose a special teddy to take with them. Make it fun and let them choose their own bed covers. Use a bed side to begin with. Put up the bed a week before moving and let them play on the bed every day. On the day that your child is moving into the bed remove the cot. Only do this if there are no other changes in their lives. We haven’t made the transition yet but there are some great tips here! We haven’t made the transition yet but there are some great ideas here!